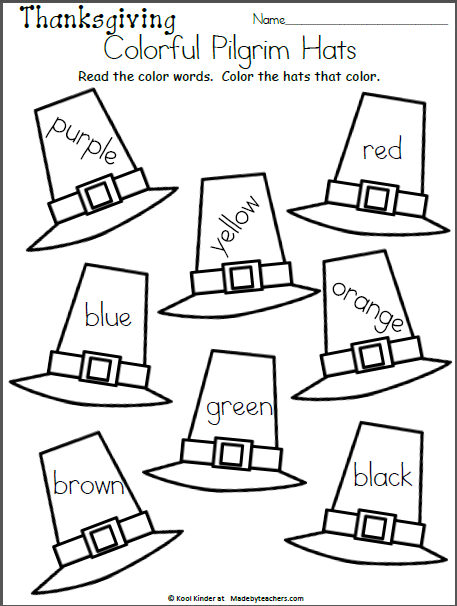 Free worksheet for November and Thanksgiving to help with recognizing the color words. Read the color words on the hats and color the pilgrim hats that color. 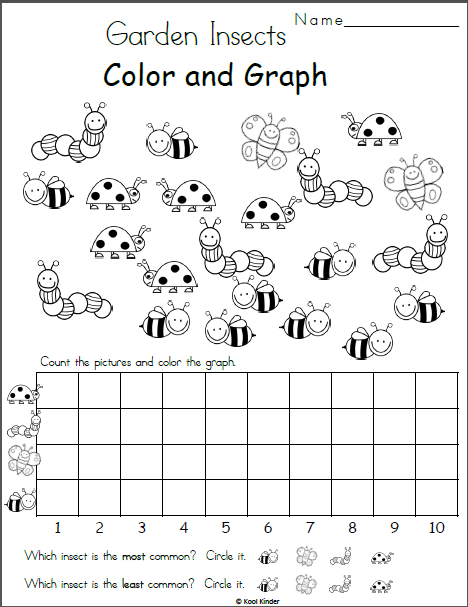 This is fun for preschool and perfect for kindergarten. 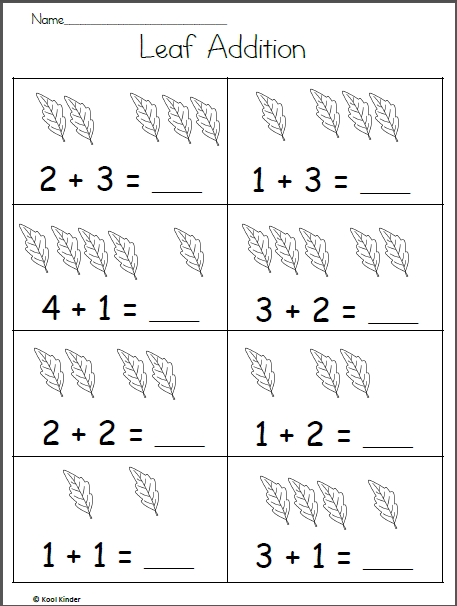 Free leaf addition worksheet for kindergarten during the fall. 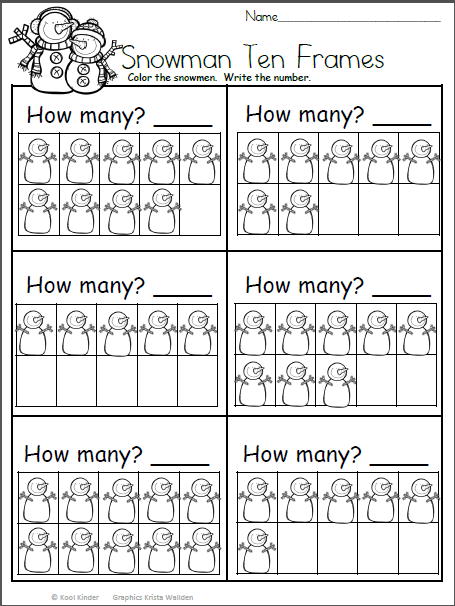 Add the pictures of leaves in each box and write the sum.